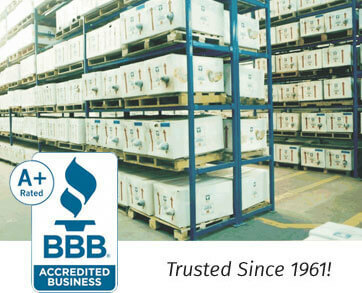 We offer 58+ years of quality and trust remanufacturing automatic transmissions. Experience our friendly sales staff, on-time delivery, unmatched customer service, and technical support after the sale. Our goal is to partner with you. Customers are the heart of our business. For more information about Coleman Taylor, and to experience our super customer service, give us a call at 1-866-616-0179. When you call, a local technician answers! Or get a FREE quote with VIN # here! GM 4l60e, GM 4l80e, GM 4t65e, GM 4R75e, AODE / Ford 4r70w, Ford 5r55e, Ford 5r55s, Ford ax4n, Chrysler a604, 5R110W, Nissan CVT’s, Ford 5R110 Torqshift, Ford 4R75W, GM 6L80E, Ford 6R60, Ford 6R75, Ford 6R80, CVT transmissions and Classic Car Transmissions. Good work and honest management. – Marie G.
When it comes to transmission suppliers in the South, Coleman Taylor has been a leader since the 1960’s. Their mechanics are ASE certified, and you are assured that their remanufactured transmissions are tested, they’re in stock, and they back them with a no hassle warranty. – Steve S.